The seagulls come calling, and off we go. The sea breeze slowly replaces the aroma of coffee (Read: Coffee and Conversations in Coorg). The soft rustling of the maize fields turns to the fierce roaring of the Arabian Sea. From the bus, we watch the sun set upon palm fringed backwaters. 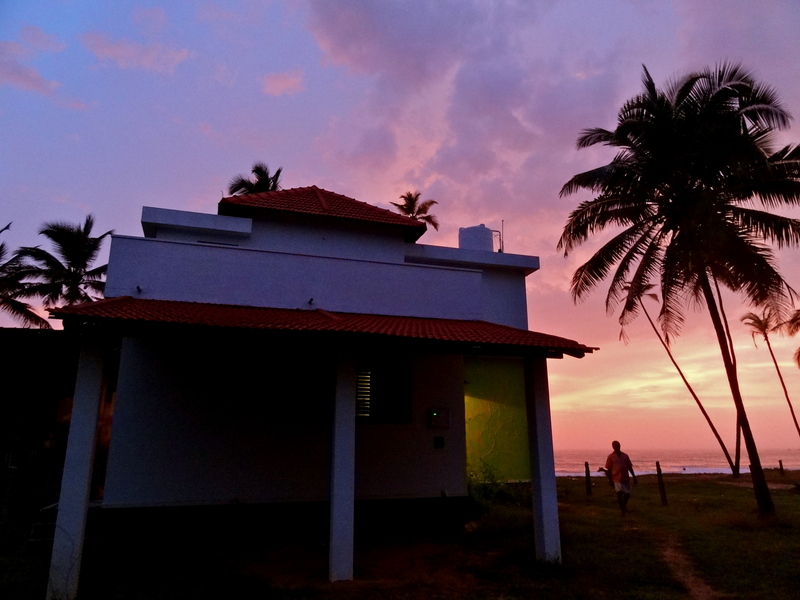 And finally at the entrance of our beach house, we stand mesmerized by the crimson red sky and sea. Far from the beaches of Goa and the backwaters of Kerala, this is coastal Karnataka; picturesque and untouched. Arriving at our beach house at sunset. 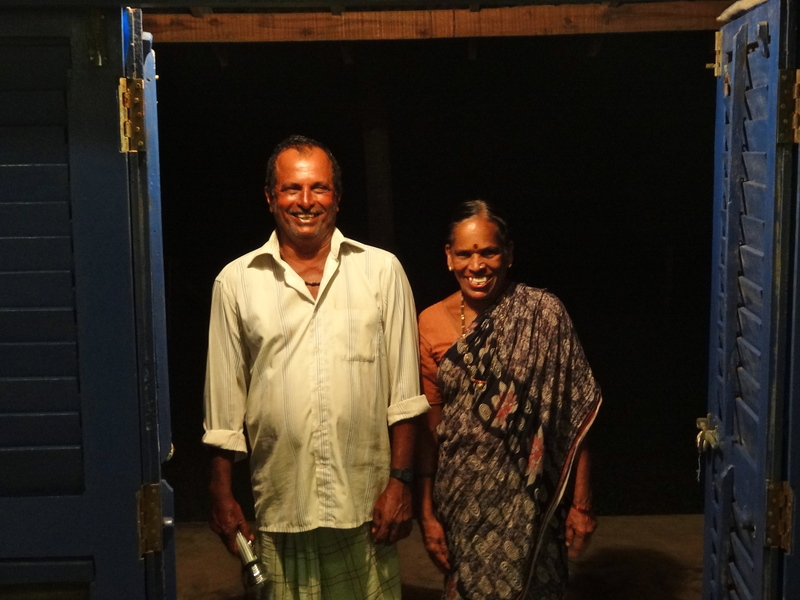 Ram-anna and Sarsu-akka, a couple from the neighboring fishing village and caretakers of our beach house, greet us with broad white smiles. Ram-anna opens the small blue doors and windows of the house to let the sea breeze in, while Sarsu-akka follows meekly behind; a short, thin lady with years of hardwork on her face. When we ask about food, her eyes light up. Aap jitne din baitho, main khana layegi; stay for as long as you like, I’ll get you food. 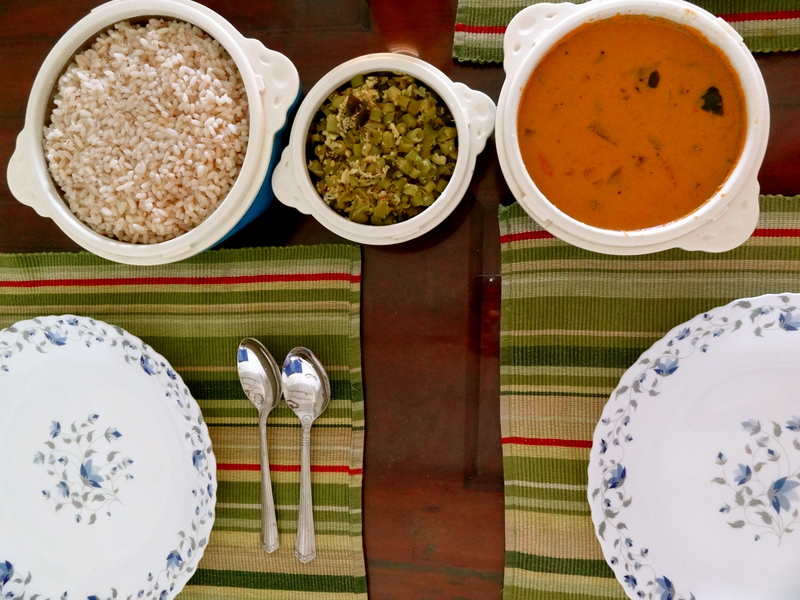 She keeps her end of the promise for all three days, and we devour her every meal; delicious seasonal veggies cooked with spices and much love, served with the local rice. Late at night, we settle in on lounge chairs on the terrace, and watch a million stars shine above us. In just a few hours, Ram-anna would be up for the day. He would cycle to the far end of the coast, then join a squad of fifty other fisherman to brace the choppy waters and look for fish. If he was lucky, he’d spot a dolphin or two. If he was luckier, he’d catch a big fish. (Read: What a Fisherman Taught Me About Paradise). The constant roaring of the sea puts me into a slumber so deep that when I wake up, I wonder if I’m still dreaming. I glance out the window to see a golden beach glittering in the sunshine, without a soul in sight. The sea has acquired a tinge of blue under the warm sun. In the distance, a 500-year-old lighthouse stands tall. 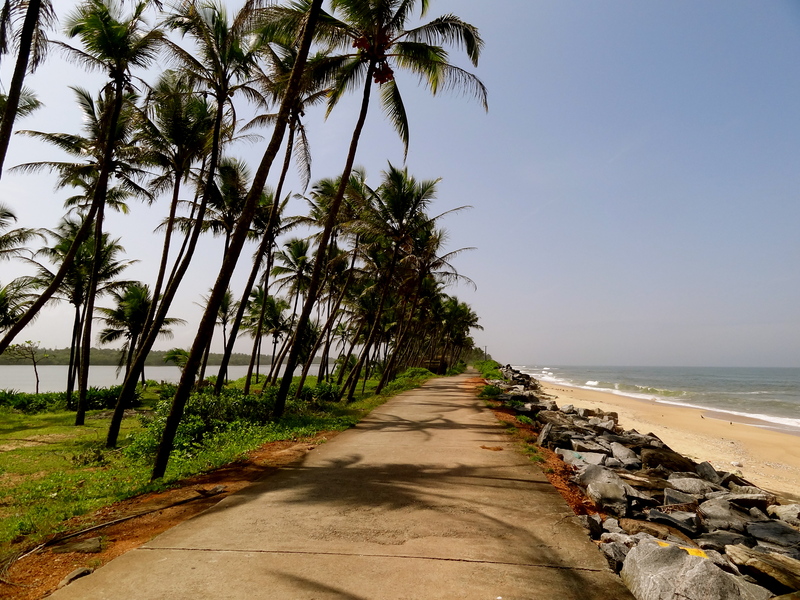 We spend our days swimming in the fierce waves, strolling along sleepy villages with colorful houses, and driving along the coastal road with a powdery white beach on one side and backwaters on the other. In the evenings, we settle down with beers on our terrace, witnessing sunsets that could only be described as magical. The beach on one side, the backwaters on the other. Three days slip away as quickly as the sand under our feet. With the sea breeze in our faces and the sound of the waves in our ears, we reluctantly bid adieu to our slice of utopia and hope that the seagulls call us back soon. Packing your bags for coastal Karnataka yet? Join The Shooting Star on Facebook, Twitter and Instagram for more travel stories and photos from around the world. I can imagine your experience…It must have been great! Which place/island did you exactly visit? I dont see this on India Untravelled can you please share the details ? sounds good; what is the name of the closest town? The closest big towns would be Mangalore / Manipal / Udupi. Your blog is getting beautiful by the day. Always a pleasure to read. Thanks Piyush, that’s poetic 😉 You, for one, would absolutely love Karnataka (the coast, the ruins, all of it). Go soon! Thanks Debtirtha! Glad you enjoyed reading it. Appreciating another well crafted documentation of your experience would be just a waste of time. While reading I was traveling along…Never been to Karnataka, but now south is definitely on my ride list. God bless Shivya!! Keep traveling….. I must say that I’m falling in love with the way you describe your journeys and experiences. Another beautifully written place. Waiting for the details about the place on India Untravelled!!! Thanks Karan, so happy to hear that 🙂 And glad to have your virtual company on my travels! Details will be up on India Untravelled soon! Great. You discovered another hidden gem. Lovely post and fabulous photos. Do that, Bharti! I’ve heard Vizag has some great beaches too, but yet to go there myself. Hope you to make it to Karnataka soon. And thanks for commenting 🙂 Hope to see you share your thoughts, adventures here again! The Indian coastal region is very beautiful. You do justice with the beauty with ur blogs. They are as beautiful as the exotic locations !! Oh, I love the sea so much! 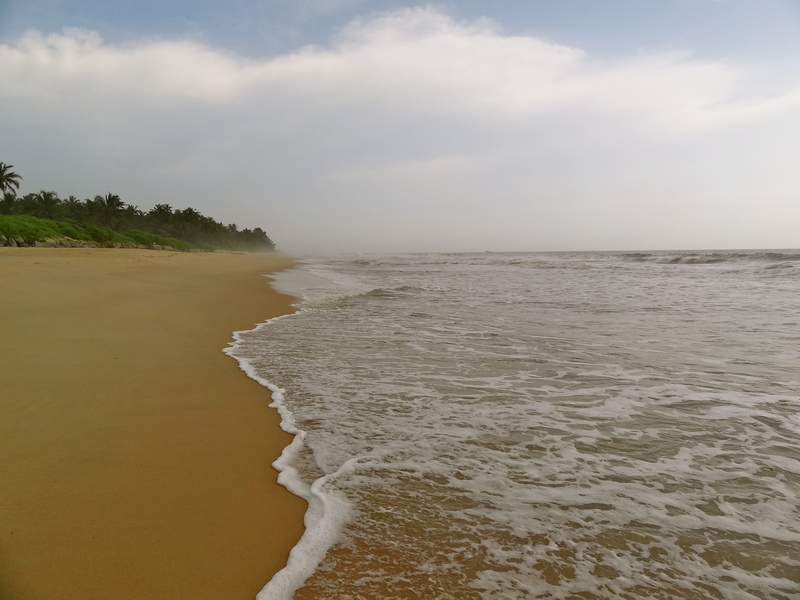 And the beaches near Mangalore are wonderfully pristine, without too many tourists dirtying the place. They are my favorite beaches in India. Agreed, they easily make my list too! Hope they stay that way. Beautiful post. 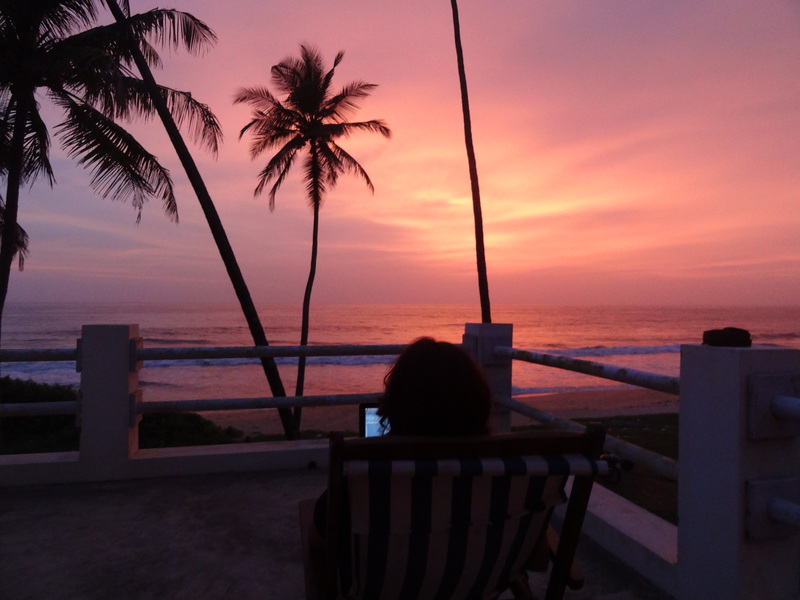 I have stayed almost my entire 22 years in Udupi and never did I look at it in the perspective that you saw it. Thanks a lot for sharing your experience. Great pictures. Especially loved the picture of the sunset. I think its marvanthe beach if i am not wrong :). where did you stay Shivya ? Previous PostCoffee and Conversations in Coorg. Next PostWake Me Up When September Ends.